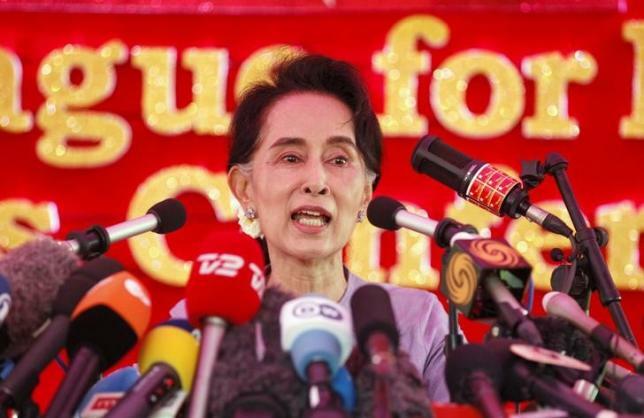 YANGON - Myanmar opposition leader Aung San Suu Kyi told reporters not to "exaggerate" the problems of the country, in response to a question about Rohingya, the country's persecuted Muslim minority living in western Rakhine State. Speaking at a news conference in Yangon ahead of the Nov. 8 election, Suu Kyi said that the whole of Myanmar was experiencing a "dramatic situation", not just Rakhine State. The political activity of the radical Buddhist group Ma Ba Tha, which has sharply criticized her National League for Democracy for not supporting a raft of legislation seen as anti-Muslim drafted by the group, was unconstitutional, she said.